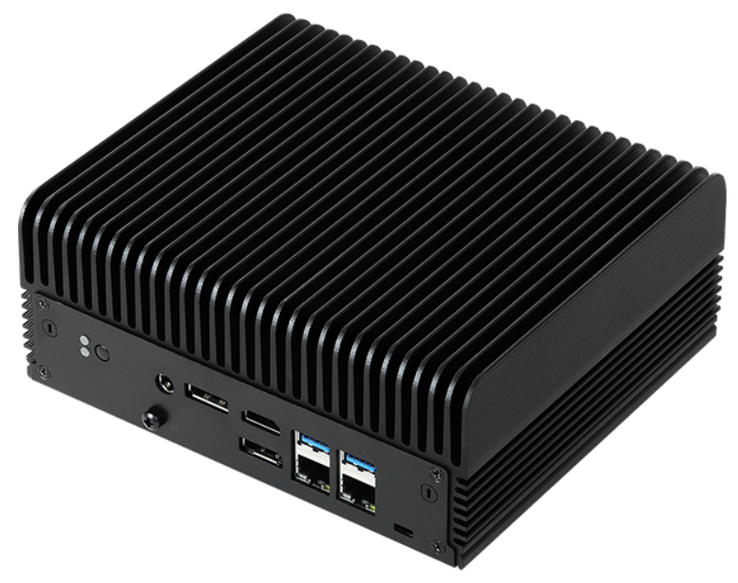 ASRock has revealed its new mini desktop PC that features chips from Intel’s Whiskey Lake-U series. Along with the modern processor, the ASRock iBOX has a fanless design with fins covering the surface of the desktop to assist with cooling. The new product is expected to be utilized in industrial environments. ASRock has launched the iBOX barebone mini desktop PC for industrial use. The hardy box can be configured with a Whiskey Lake-U SoC: the Intel Core i3-8145U, the Intel Core i5-8265U, or the Intel Core i7-8565U. The TDP for these chips has been set at 15 W, thus enabling ASRock to manufacture the iBOX without cooling fans. Up to 32 GB of DDR4 RAM can be supported (single-channel) and the graphics are processed by the iGPU found with the Whiskey Lake-U SoCs: the UHD 620 Graphics. There is a 2.5-inch SATA HDD bay present, and the ASRock iBOX can operate with Windows 10 or Linux. In terms of connectivity there is 1x USB 2.0 port and 1x USB 3.0 port at the front and there are 2x USB 3.0 ports on the rear. The ASRock iBOX also comes with 2x DisplayPort, HDMI, 2x Ethernet, audio port, and serial compatibility (1x RS-232/422/485; 2x RS-232). The mini desktop comes in a metal case and weighs about 2.2 kg/4.8 lbs. The price for the iBOX has yet to be announced.